The ASUS Fonepad 7 8 Intel Atom-1.2GHz Dual SIM (1GB,8GB HDD,3G) 7-Inch Android Tablet is yet another cheap tablet in the Nigeria mobile market. This tablet features an Intel Atom-1.2GHz Dual SIM, 1GB, 8GB HDD, 3G, 1.2MP front camera and 5MP back camera running on Android 4.2 OS. The ASUS Fonepad 7 is sold for just N21,995 or less. 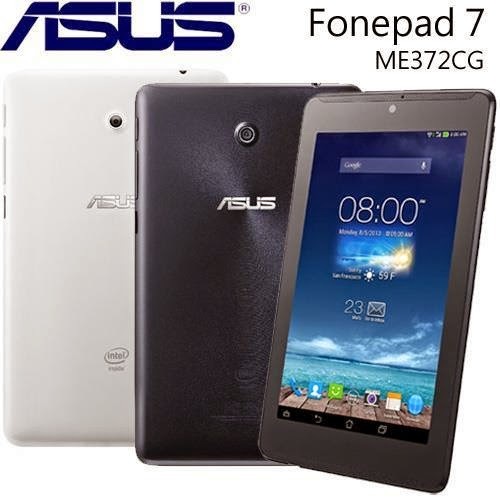 Order ASUS Fonepad 7, Pay on Delivery, Click Here! Here are features of the latest ASUS Tablet Fonepad 7 with dual sim and price. If you want to enjoy the value of the new ASUS Fonepad 7, It is better you buy from an authorised ASUS Fonepad dealer online and pay on delivery.